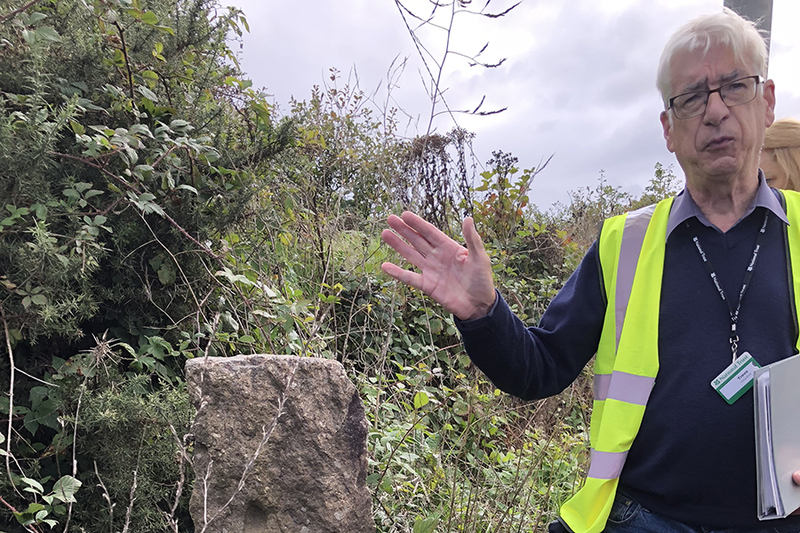 Last week I joined one of the National Trust Volunteers at East Pool mine, Redruth to learn more about an area which was once the heart of Cornwall’s mining industry, producing tin, copper, arsenic, tungsten and other metals. 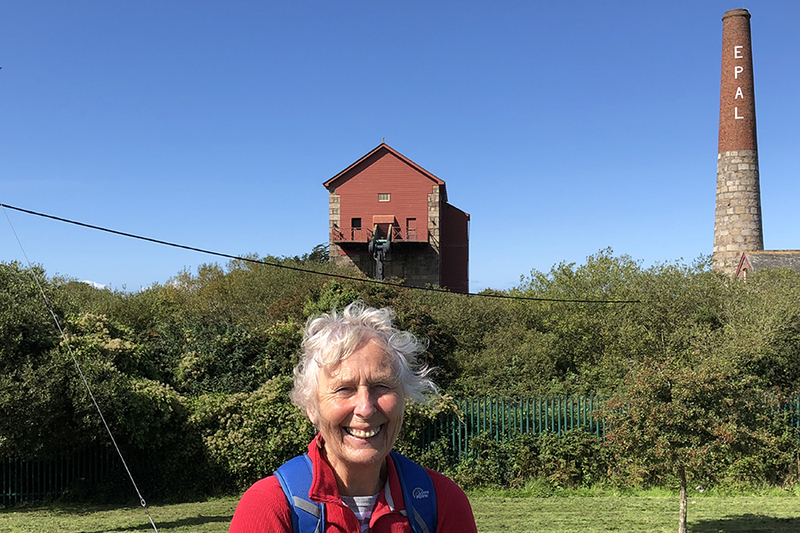 I have long been interested in the social history of mining in Cornwall and I must admit that watching the latest Poldark series on TV has encouraged me to want to learn more. letters EPAL (East Pool & Agar Ltd )is a great landmark and it is the only chimney in Cornwall to have letters on. 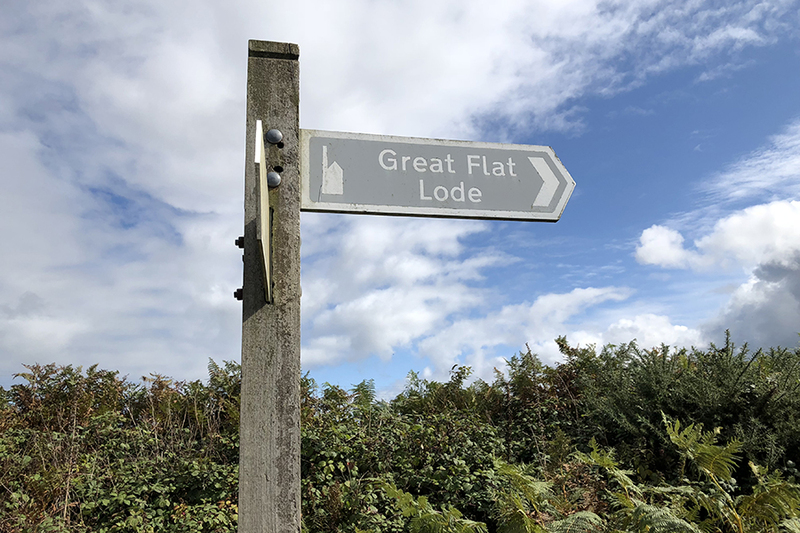 It is a hidden gem and if you want to learn more about the industry which shaped the face of Cornwall in the 1800’s, it is a good place to begin. 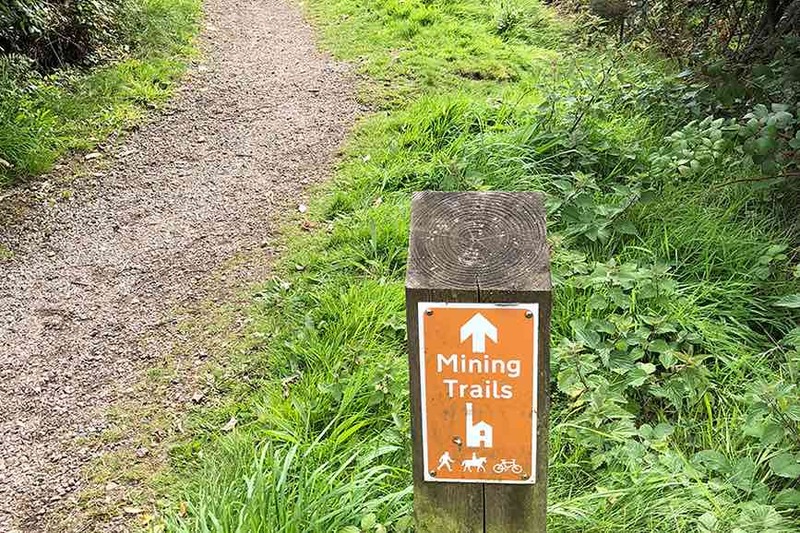 Mining in Cornwall was big business. As the Industrial Revolution progressed, demand for tin was high and Cornwall was one of the few places in the world with rich supplies of it. It was hard won, however, and involved a large skilled workforce to dig shafts (many under the sea) and work arduous days hacking away by hand at the rock face to win the ore.
Mining companies were in the hands of a few wealthy families, the Bassetts, Agar-Robartes, Boscawens to name a few, all of whom amassed huge wealth while their work force lived in poverty and hardship. The landscape of this area is still scarred with the Industrial spoil of the industry but it is gradually being transformed by careful regeneration projects and the pressure to build houses. Treve, our guide had a collection of black and white photos containing significant landmarks and we were able to see the sprawling spoil heaps and bleak industrial landscape on the spots we were standing, some 100 years ago. Mining remains dot the landscape as far as the eye can see in this region and the chimneys are just one small part of the process. 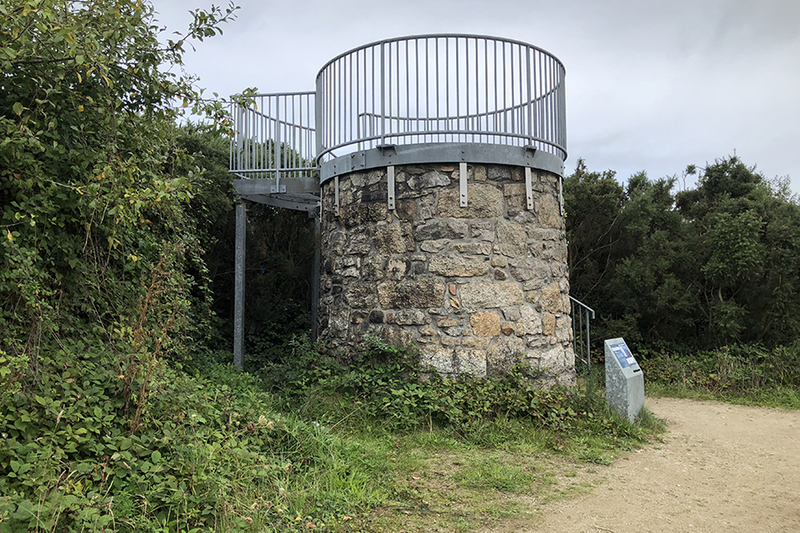 The winding gear which lifted men and ore from underground is also evident and all along the Red River flowing down to the sea at Portreath there would have been processing plants to win the rock from the ore via stamps and shaking tables. A good place to see this process is King Edward mine at Camborne, also owned by the National Trust. Our walk was about 4 miles and was quite fascinating. Treve’s ancestors were miners in this area and he has a wealth of information on the history and mining processes undertaken in the various locations we visited. This region also spawned some great inventors. 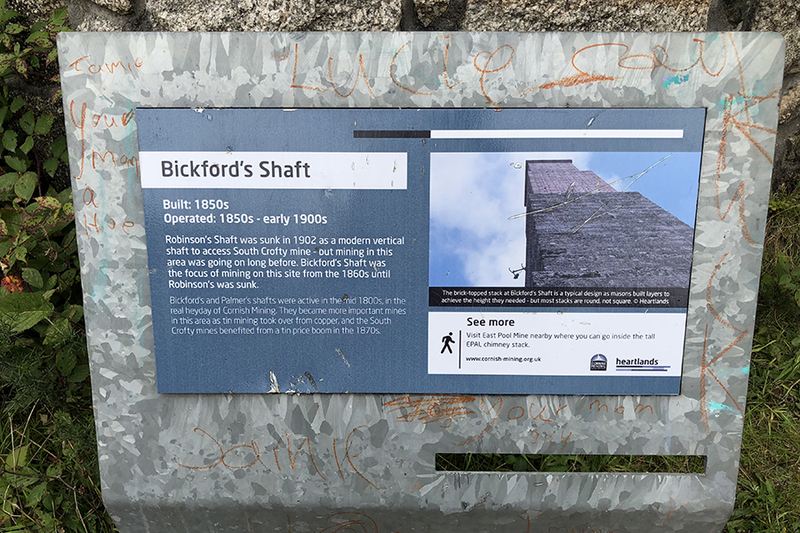 Richard Trevithick invented the steam engine to drive mine pumps, William Bickford invented the safety fuse, saving countless miners’ lives and Richard Murdoch’s House was the first in the world to be lit by gas. 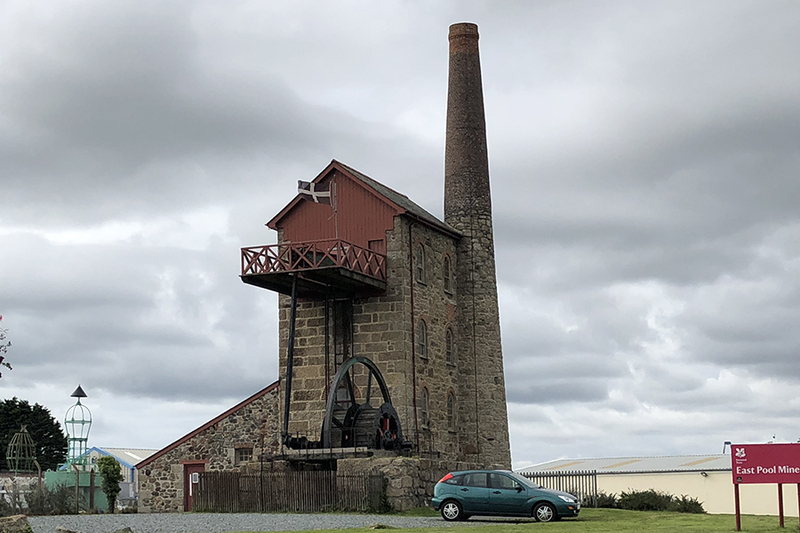 Cornish miners were in demand in mines the world over for their engineering skills and the late 1800’s as the slump in tin prices forced many mines to close, many of them emigrated to work in countries such as Mexico, South Africa and Australia. The Red River was crucial in processing the ore as it was taken to Portreath.